According to Pew Research, it is becoming the norm for families today to have two working parents, with only 20% of families in the U.S. with a “stay-at-home” mom or dad. Naturally, when both parents work outside the home, flexibility becomes paramount. And even if you don’t have a kid, flexibility is often the key to longterm workplace happiness. While most working Americans say they need work flexibility, the truth is less than half actually have it. Unfortunately, public policy and corporate America haven’t been able to keep up with the rapidly-changing modern workforce and the diverse needs of today’s parents, specifically women and mothers. When work flexibility is embraced, both employers and employees thrive. Employers can expect financial savings, increased productivity, lower turnover, reduced absences, a better corporate culture, and many more benefits. The upside for employees include being more positively engaged in work and life, better health, time savings, reduced stress, having healthier relationships, and a greater sense of overall happiness. In response to the growing need for more workplace flexibility, organizations have started to emerge to help support companies, individuals, and oftentimes women re-entering the workforce after maternity leave. Below, we take a look at five such organizations—all of them run by women—that are pioneering new ideas for flexibility in the workplace. Werk was founded after only a few brief meetings between Anna Aurback and Annie Dean. They were both professional powerhouses and moms to young children. They agreed on one thing immediately: the workplace is not designed for women’s success. The women commissioned a study with Harvard Business Review and found that 96% of U.S. professionals say they need flexibility, but only 47% have it. They found not only was there a huge demand for flexibility in the workforce, but companies are also lacking structured flexibility programs in which employees have a range of flexible options to choose from, with those options broadly communicated across the organization. They determined there is a huge “flexibility gap” in today’s working world. The survey also helped them helped them identify six distinct types of flexibility: “TimeShift” (unconventional hours), “MicroAgility” (the freedom to adapt), “DeskPlus” (location variety), “Remote” (location independence), “TravelLite” (minimum travel), and “PartTime” (reduced workload). Armed with data, the pair created FlexMatch, a program for organizations looking to implement more flexibility and overhaul their work structure. Employees answer questions about their flexibility needs in a short survey and the company receives a dashboard report that quantifies their overall flexibility gap and provides insights for high-risk areas. The employees receive a personalized report that identifies their flexibility types and provides suggestions for manager-employee conversations about flexibility. From there, employers and employees can become certified through Werk’s FlexCert program. Companies are able to post jobs on the site for things like special projects, part-time or remote roles, or family leave fill-in and then they are matched with members that meet the specifications of the role. Members are verified through a 4-step vetting process, have an average of 10 years of experience, the proven ability to deliver, and extensive leadership skills. Their algorithm helps with the initial sifting of applicants and companies can expect pitches from members within 24 hours of posting a job. Companies select a member and negotiate a rate directly, but The Second Shift will take care of all the invoicing, payment, and any relevant tax forms. The Second Shift is focused on changing the workplace for women. Through their research, they have found executive level, gender-diverse companies are 21% more likely to experience above-average profitability, but they also found that as employees move from manager to director, director to vice president, and eventually senior vice president, the share of women decreases by 15%. They believe an on-demand economy is a key tool for addressing gender diversity and it is currently underleveraged. Their core tactics promote gender diversity and equality. They promote women, remove hiring biases, and require employers to have policies that allow for flexibility. 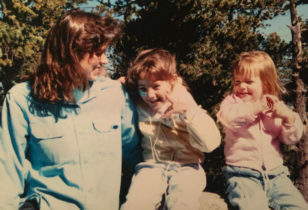 When TendLab founder Amy Henderson found herself unexpectedly pregnant with a third child, she set off on a journey to discover how she could continue to grow her executive-level career and also be a great mother. What she discovered, through over one hundred interviews with high-level executives, is that many of them found that they were performing better in their careers because of becoming a parent, not in spite of it. From there, she created TendLab, whose mission is to help parents unlock their professional potential. TendLab’s signature workshops help companies and employees recognize the valuable skills they are developing through the experience of becoming a parent. Through a combination of data sharing and experiential training, participants learn how parenthood benefits their career, boosts their potential, and how to incorporate all of this into the workplace. The organization also has a focus on women and mothers with their Career Moms Workshops. By creating a space for women to come together, share their experiences, and collaboratively realize their potentials as women, mothers, and professionals. In addition to their workshops, TendLab also offers consulting services for companies who are looking to make improvements to help parents and productivity. In 2012, New America President and CEO Anne-Marie Slaughter wrote the infamous article for The Atlantic, “Why Women Still Can’t Have It All“, focused on obstacles surrounding male-female equality in the workplace and the search for the elusive work-life balance. After the article went viral, Slaughter pivoted her career, pausing plans to write a book on foreign policy in order to run New America. While New America has a wide range of programs, there are a handful of programs focused on the changing workforce and the needs of young families and working parents. Specifically, they have programs focused on Family-Centered Social Policy, Millenials Initiatives, Better Life Lab, and Work, Workers, and Technology, that work on initiatives that address some of the challenges facing today’s evolving workforce and the modern working family. 1 Million for Work Flexibility is the first national initiative creating a collective voice in support of work flexibility. Founder Sara Sutton is a pioneer in work flexibility. She founded two companies, FlexJobs and Remote.co, as a result of her own desire and need for more work flexibility. 1MFWF is made up of professionals, retirees, freelancers, military families, entrepreneurs, caregivers, and many others that are supporters of work flexibility and want work flexibility for many different reasons. The organization is led by a diverse coalition of companies, nonprofits, and business leaders who understand that work flexibility benefits us all. 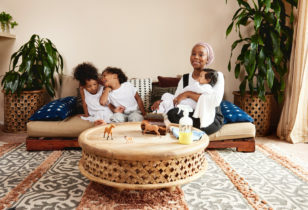 For more on the topic of working moms and workplace flexibility, check out our pieces on How to Ask for More Flexibility at Work, 5 Reasons Why Motherhood Makes Us Better Workers, and 20+ Moms on Balancing Motherhood & Work.